today current gone from morning time. 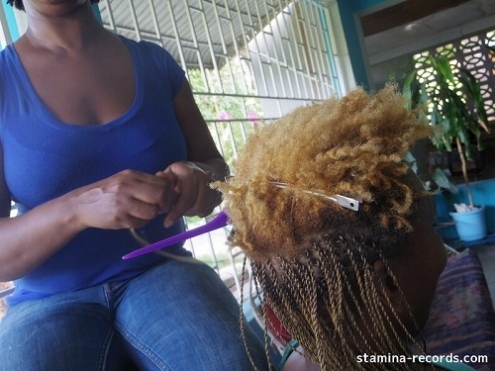 mi see my landlord fix fi her cousin's hair. 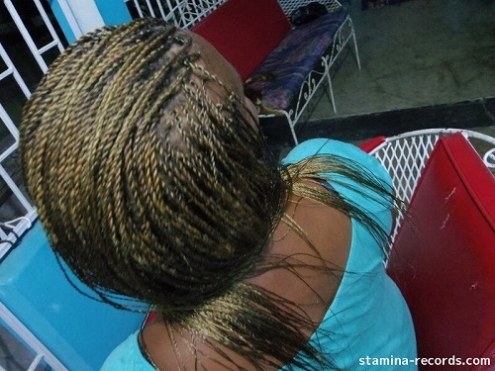 she seh she can do any kind a style. 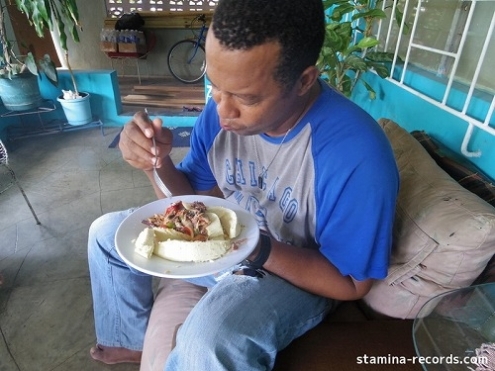 todays breakfast is saltfish & bread fruits.